Length of Trail: 3 miles of trail. This will eventually be part of the Trans-County Trail from Torrey Pines State Reserve to the Anza-Borrego Desert State Park. Although Oakoasis is currently only a short trail, it is well worth checking out. Staging Area: The staging area is located on 12620 Wildcat Canyon Road. There is parking area with space for a few trailers. There is a picnic table and restrooms available. There is water for horses, but no corrals. Directions: East on Highway 8, north to Highway 67. Turn east (right) on Maple View Street where the freeway portion of Highway 67 ends (traffic light). 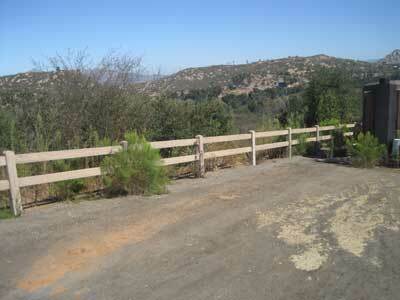 Go 0.3 miles on Maple View, turn left (north) on Ashwood (which becomes Wildcat Canyon Road). 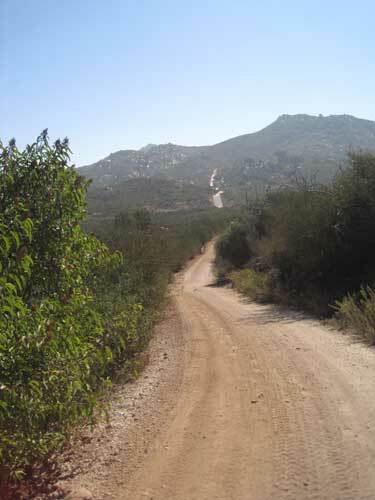 Proceed 4.2 miles (according to the roadside mile markers) to the driveway of Oakoasis Preserve on the right. At 0.1 mile ahead, there is a parking lot at the trailhead. Water: There is water at the staging area and seasonal streams on the trail. Trail Conditions: The terrain varies from meadows to fairly challenging hills with sweeping mountain views on nice well-maintained trails. In winter, the lower trails in the oak grove can become muddy or underwater. To the East, there is a tunnel under Wildcat Canyon Road which leads to the El Capitan Open Space Preserve and a steep concrete hill to climb to get to the preserve. 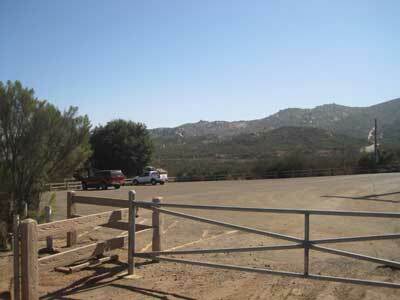 Trail Users: The trail is open to hikers and horseback riders. Dogs must be on a leash. 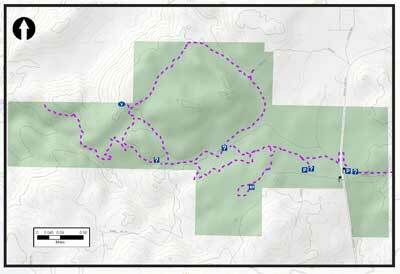 General Trail Info: The parking area is open 7 am to 5 pm daily. Camping may be permitted, call the office to confirm. Latitude: 32.917; Longitude: -116.888; Elevation is 1,440 feet above sea level.